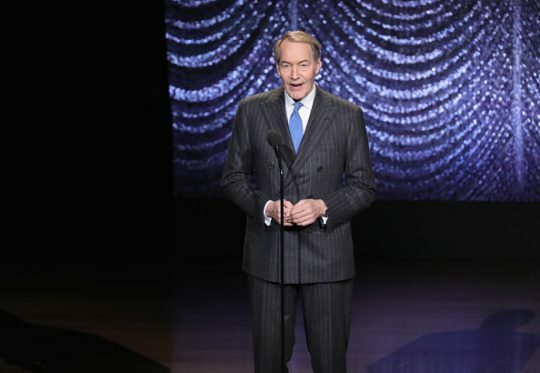 CBS News fired long-time anchor Charlie Rose on Tuesday following allegations of sexual misconduct levied against him spanning decades of his journalism career. Eight women came forward with allegations that Rose sexually harassed them between the 1990s and 2011, the Washington Post reported on Monday. The allegations include unwanted sexual advances, lewd phone calls, walking around naked in their presence, and groping. CBS News–as well as PBS and Bloomberg, which carry his eponymous interview program—suspended Rose soon after the Washington Post story broke. CBS News President David Rhodes sent a memo to CBS news employees on Tuesday informing them Rose had been fired. "A short time ago we terminated Charlie Rose's employment with CBS News, effective immediately. This followed the revelation yesterday of extremely disturbing and intolerable behavior said to have revolved around his PBS program," the memo states. "Despite Charlie's important journalistic contribution to our news division, there is absolutely nothing more important, in this or any other organization, than ensuring a safe, professional workplace — a supportive environment where people feel they can do their best work." Rose released a statement on Monday night apologizing to the women for his behavior. "It is essential that these women know I hear them and that I deeply apologize for my inappropriate behavior. I am greatly embarrassed," he said. "I have behaved insensitively at times, and I accept responsibility for that, though I do not believe that all of these allegations are accurate. I always felt that I was pursuing shared feelings, even though I now realize I was mistaken." Norah O'Donnell and Gayle King, Rose's co-hosts of "CBS This Morning," addressed the allegations against their former co-host on their Tuesday morning show. They state they were shocked at the news and that it took courage for the women to come forward. "It takes a lot of courage for these women to come forward," O'Donnell said. "Let be very clear. There is no excuse for this alleged behavior … This I know is true. Women cannot achieve equality in the workplace or in society until there is a reckoning and a taking of responsibility." "I have held him in such high regard, and I'm really struggling, because what do you say when someone that you deeply care about has done something that is so horrible?" King asked. "How do you wrap your brain around that? I'm really grappling with that. That said, Charlie does not get a pass here … We are all rocked by this." Rose had anchored "CBS This Morning" since 2012 and was also a contributor to the long-running newsmagazine "60 Minutes." This entry was posted in Culture and tagged 60 Minutes, CBS News, Charlie Rose, Media. Bookmark the permalink.